Parallel Programming and High Performance Computing (HPC) – Page 2 – Articles, selected news and personal thoughts – by Christian Terboven. 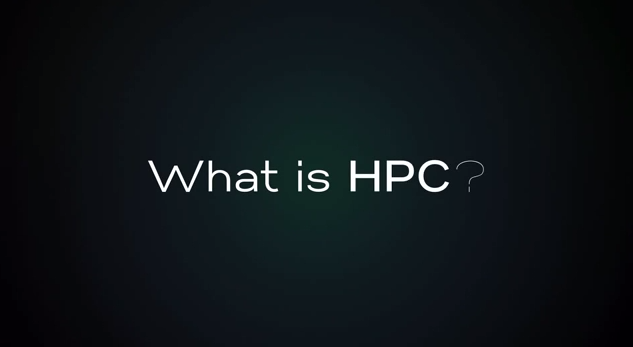 It pretty much captures why I like to work in HPC, namely that I can come into contact with so much technology, so many different scientific topics, and such many different people from all over the world. The German team with the glorious name Gaussian Elimination Squad made the first rank in the Intel Parallel Universe Computing Challenge! Each round of the challenge consisted of two parts: the first was a trivia challenge with 20 questions about computing, computer history, programming languages, and the SC conference series; the second part was a coding challenge, which gave each team ten minutes to speed up a piece of code they had never seen before as much as possible. On top of it all, the audience could watch what the teams were doing on two giant screens. Georg Hager, our team caption, has a blog post with all the details. The competition was really a lot of fun and a nice distraction from an otherwise pretty busy SC13. There is a short video capturing the atmosphere during the final competition and also a brief article on insideHPC. The Gaussian Elimination Squad represented the German HPC community, with members from RWTH Aachen (Christian Terboven and Joachim Protze), Jülich Supercomputing Center (Damian Alvarez), ZIH Dresden (Michael Kluge and Guido Juckeland), TU Darmstadt (Christian Iwainsky), Leibniz Supercomputing Center (Michael Ott), and Erlangen Regional Computing Center (Gerhard Wellein and Georg Hager). As only four team members were allowed per match, I was lucky to play together with Gerhard and Georg in all rounds, but the others helped us by shouting advice and answers they thought were correct. You should have heard by now that OpenMP 4.0 has finally been released, you can find the official statement on openmp.org: http://openmp.org/wp/2013/07/openmp-40/. It really is a major new release and therefore it will take a while until all implementations have incorporated all new features. Nevertheless, as some implementers already offer beta releases of their compiler products with some new OpenMP 4.0 features available, you might be interested in learning more about the new standard to get your hands dirty. In this blog post I collected links to the OpenMP 4.0 material I am currently aware of and give pointers to places and events at which you can learn more. First, if you are fine with reading a German article, my friend Michael Klemm and I have written an overview piece discussing the most important changes and new additions (from our point of view), including some code examples. It has been published at heise Developer here: http://www.heise.de/developer/artikel/Die-wichtigsten-Neuerungen-von-OpenMP-4-0-1915844.html. Together we also gave a corresponding presentation at parallel 2013, of which I made the slides available on my blog (slides in English), again with several code snippets. End of July / early August we hold our “Parallel Programming Summer Course” at Aachen, during which OpenMP occupied two days of the agenda. The course material contains three slide decks on OpenMP which give a thorough introduction (I hope) into OpenMP Programming and touch the following new OpenMP 4.0 feature: device construct, task dependencies, thread affinity, array sections and user-defined reductions. I gave very similar talks at the Hartree Centre Summer School 2013. Rolf Rabenseifner from HLRS also holds many very good courses on parallel programming. He is currently extending his material to cover selected OpenMP 4.0 topics, probably for the next course instance already. If you attended ISC’13 in Leipzig, you had the chance to hear Bronis de Supinsky, Michael Klemm and myself in the half-day Advanced OpenMP Tutorial. Our slides are part of the tutorial proceedings. At SC13 in Denver the same group plus Ruud van der Pas will talk about Advanced OpenMP: Performance and 4.0 Features, see http://sc13.supercomputing.org/content/tutorials. This will be the first time we will focus in great detail on new features of OpenMP 4.0 and how to exploit those for programmability and performance. And finally at Euro-Par 2013 together with Tim Mattson I will be giving a half-day tutorial on Advanced OpenMP again, this time even more focussing on lower-level system details like the memory model and cache coherency mechanisms. Last week’s OpenMP Language Committee face-to-face (F2F) meeting was meant to resolve the final outstanding issues to get the OpenMP 4.0 specification ready. With this week’s concall I assume we achieved just that and now it is our editor’s turn to apply all remaining tickets to the spec document. After that, the OpenMP ARB will perform the official vote on July 11th (if my calendar is correct), which in case of a positive vote will then also be the release date of the OpenMP 4.0 spec. This voting is generally considered just a formality, as the OpenMP member companies and institutions sending staff to the Language Committee also constitute the OpenMP ARB. OpenMP 4.0 will not break existing codes. If you are interested in learning about the new features, you may want to stop by at the JARA-HPC booth #755 at ISC in Leipzig next week. We have (preliminary) OpenMP 4.0 syntax reference cards as handouts for you. If you want to meet me in person, you are welcome to visit the booth during my booth duties on Monday (11:30h to 13:00h), Tuesday (11:30 to 13:00h) or Wednesday (13:00h to 14:30h).